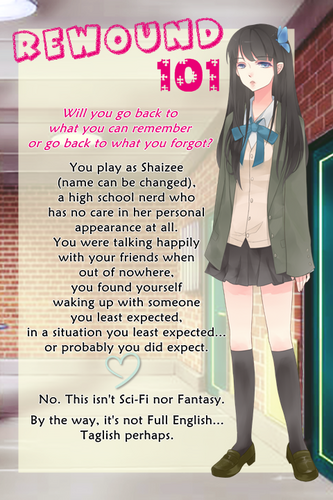 You play as Shaizee, a high school junior, who's main hobby is to study. She was satisfied with her everyday self until one day she woke up learning that she might think otherwise. 🌸 The game has 3 routes. 🌸 There are secret scenarios after completing the good end. 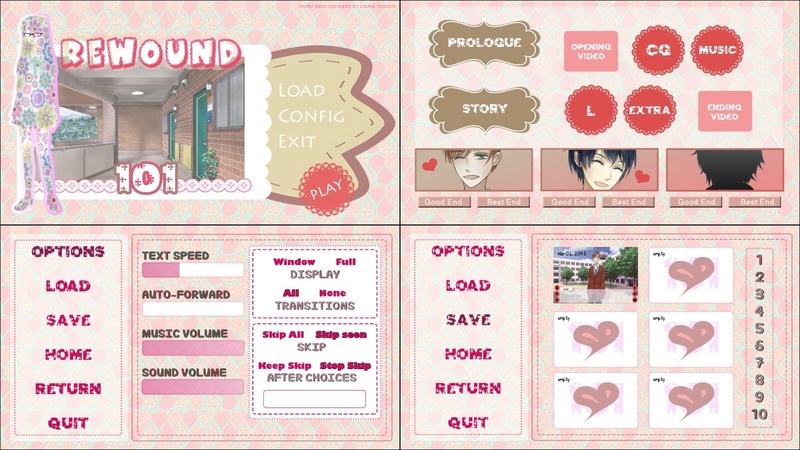 🌸 After getting two best endings, you will unlock the third route. The game contains 7,043 dialogue blocks, containing 46,076 words and 258,799 characters, for an average of 6.5 words and 37 characters per block. The game contains 57 menus, 243 images, and 21 screens. 1. If you found bugs and other errors, please do report it to me immediately. This game will never be updated. ReWound 101 will be having it's remake instead. If you download fails, refresh and restart your browser. It should work afterwards! Download the APK and directly install it to your mobile phone. Please mail me at zish.pinc@gmail.com. I'll be releasing the English Version along with the remake so stay tuned! I'm sO EXCITED FOR THE ENGLISH VERSIONNNN!!!!!!!!! Hello! I'm still encoding the English Version! I will be releasing it by next month. I'm sorry for the wait! I'm adding new scenarios for the game! Do you have any problems or policies regarding Let's Plays? This one in particular would be part of a series, only feature the first 2-3 hours of one route, and link back here. But I do hope if you make one, you link it to me so I can watch it! I can't say when's the exact time of release of the English translation but don't worry, I won't be dropping it. It's just that there are some words we find difficult to translate in English so it took a little more time that I expected. I hope I can release it soon as possible but I also have projects with my other friends I am doing as of now. I'm sorry for keeping you waiting. But I'll do my best! SOBRANG LOVABLE NG CHARACTERS. like, how??? natutuwa ko kasi lahat sila may sense of humor. like si nash yung nang-aasar lagi at mahilig mang-inis hahaha. tipong wala siyang sineseryosong usapan at laging pabiro yung sagot. si lanier naman typical guy friend na kavibes mo at laging masayang kasama kahit saan. si rayden the pa-cool slash pa-mysterious kid na may sariling mundo pero ang cute cute pa rin. tapos si liz pa air-headed stereotype pero typical best friend na laging andiyan para sayo at naappreciate ko talaga siya throughout the game. tas si croix huhuhu yung overprotective na kuya. HINDI KO ALAM KUNG PANO MO GINAWA pero sobrang life-like nung characters??? like inisa-isa ko sila at hindi ko naramdaman na andun lang yung bawat character for plot device. lahat sila may kaniya-kaniyang personalities na sobrang realistic. siyempre dahil si rayden yung pinakaspecial (siya ba naman end game), siya rin yung pinakafavorite ko. 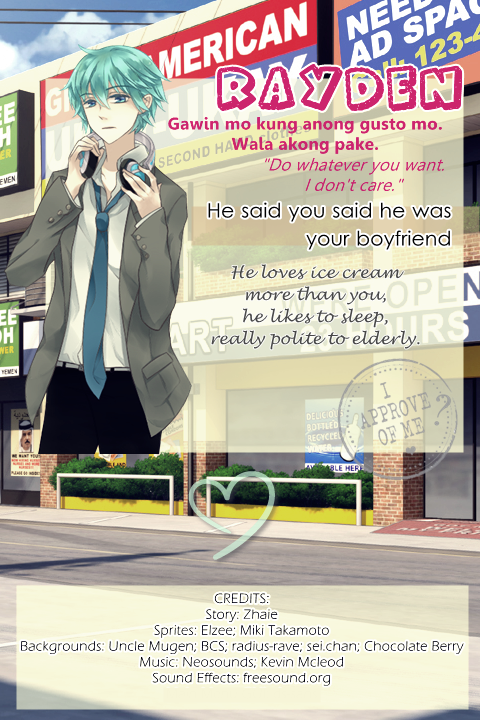 sa mga otome talaga lagi kong hinuhuli yung mga mysterious/bugnutin type kasi sa kanila ako pinakanaaattract kaya natuwa ako na si rayden yung pinakamalaking route sa game. sobrang kumpleto nung mga routes. yung kay nash na-feel ko na medyo maikli pero binawi pa rin ng ending. grabe ang cute lang ng idea na *SPOILER* iniispoil (lol) ka nung boyfriend mo at pwede siyang bumisita sayo anytime he wants (ang creepy pakinggan omg). basta ang sweet ni nash. sobrang complete package. may hitsura, matalino, mayaman, WTF ANG PERFECT NIYA MASYADO. feeling ko siya yung pinakasweet na guy. next na route naman ay yung kay lanier. honestly, sobrang nakarelate ako sa main character nung prologue. i also have someone i like...and he's also in a relationship. kaya nung first time na sinabi ni shaizee na taken si lanier, i was like "girrrrl same ok siya uunahin ko." ang dami ko ring kakilalang ganito na secretly in love with their best friend who's already taken. so, the fact na may ganitong klaseng guy sa game is really nice (ito na lang ata yung chance naming mga sawi na matupad ang mga pangarap) i really enjoyed his route, especially since i got to see him develop from my platonic best friend to a very sweet and loving boyfriend. childhood-best-friends-turned-lovers stories always get me. i like this type of art style! clean and simple but fluffy. mas nafifeel ko talaga yung mga nilalaro ko kapag maganda yung art kaya thumbs up bc the art was really nice. sobrang cute nung mga pabagong-bagong expressions nung characters. plus, props din sa background kasi ang ganda nila. i even took multiple screenshots of some scenes bc ang aesthetic tignan. Thank you for your review! Binasa ko siya lahat of course and I'm touched! I'm really you liked it, I'm really happy na nakuha mo ung mga bagay na gusto ko i-convey sa story. Thanks for downloading the game! My username in lemmesoft is zhaie. That's the only account I'm using in the forums. In other forums, I use zhaiechan or zhaieyuemn, just the same. Well anyway, thank you for the hard work. I support you! 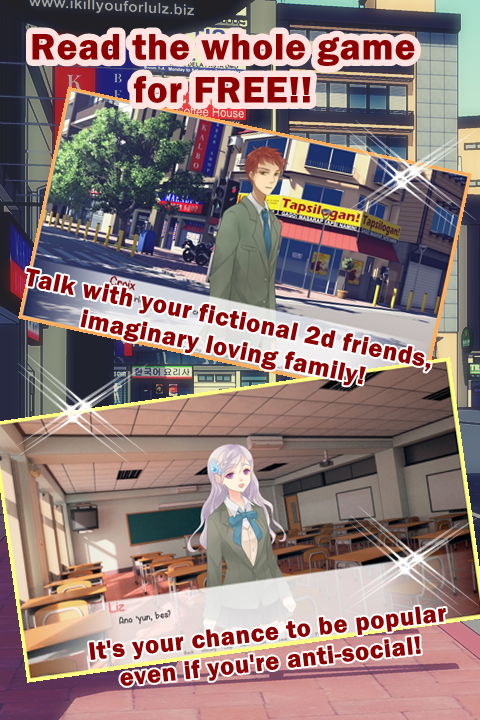 You are a living testament of my dreams (VN/Otome Games released set on Philippines). Still haven't played your game because of the up coming exams. Yikes! I REALLY LOVED THE GAME! It's the feel-good kinda plot. The story and events were well-executed and the characters were lovable! Although, amongst all of them, the one I prolly like best is... hmm, actually either Nash or Rayden. 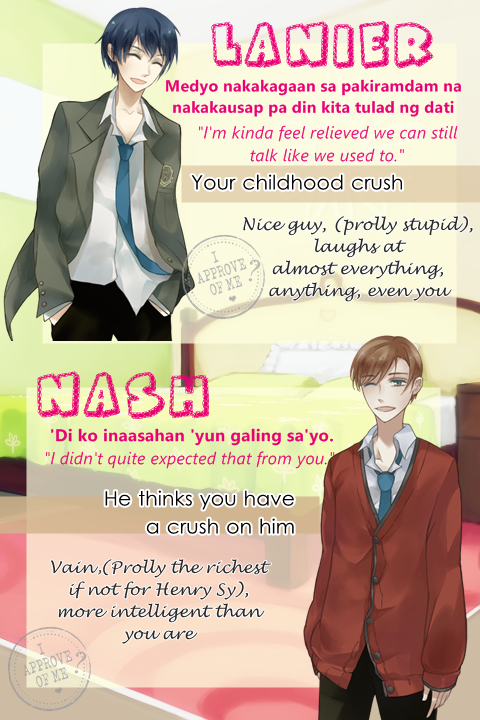 Nash is like the ideal kind of boyfriend -- he's sweet, spunky, caring, and, as protagonist said, it's no wonder why a loot of girls liked him. However, his plot was too short so the moe-ness wasn't developed as much as the rest... and I guess is also the reason why Rayden has the edge compared to Nash, considering he's like "the main guy." Though, yeah, main or not -- it's true you can't help but really dote on Rayden. He's just too cute! Overall, I really liked the game! It reminds me so much of that Josei manga I read a long time ago, about a 'previously boring' female protag losing her memories after falling down from a chair, only to wake up to some big changes in her life -- that it turns out, these past few months, she started investing on fashion, and beauty products, also even living in with her "boyfriend" which was one of her officemates. They have similar plots, but I guess that one has more drama in it. But it's also super cute though! Anyway, good job with this one! I really enjoyed it, considering it's my first time playing a Fil. 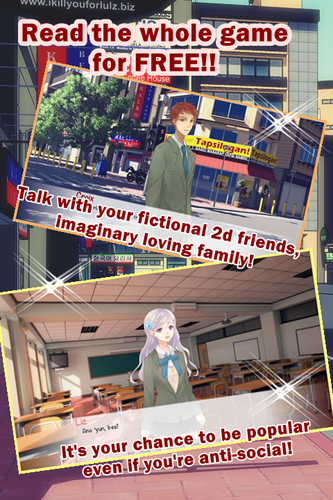 version otoge. There were some grammar errors but I was too lazy to note them down (sorrry). Again, thanks for sharing this game to us! [EDIT] Joookeee.. I reread your reply again and noted you actually read it already. lol But, really, afaik, it should be complete. Idk with online manga ver though...? Maybe the translators just stopped translating...? Not sure. Oh I think I should look for a different site to read. And thanks for the offer! I will take note of that! ;U; I finally get to learn Tagalog, from an otome game. IN YOUR FACE MOM! I CAN LEARN FROM GAMES! Your mom will be so surprised haha! 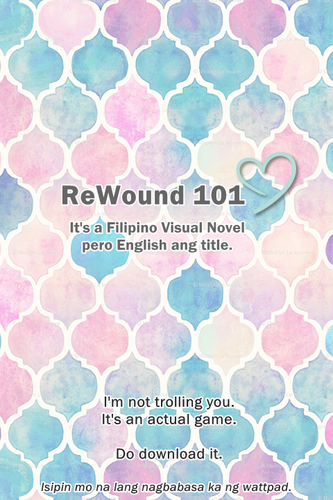 I got excited after seeing this was a Filipino Visual Novel.I rarely post a comment, but seeing this made me. Lol. It's really rare to see games using the Filipino language. And for some reason since both of them have R and N in their names, I had them mixed up and I didn't noticed it. I'll go look on to that as well. Welp. Since I'm using Filipino as my medium it would feel like it's some wattpad story. I just thought that perhaps since there are Japanese Otome Games and they use Nihongo as their main language to their games, why not use ours in what I'm making. please tell me if the english full version is finished....i love to play it.thanks! Yep! I'm sorry I wasn't able to update! I was sick! But I'll be releasing the English Version around this month (hopefully, since I just gone surgery). I'll do my best! Thank you so much! I am going to post the new download link very soon. I'm so sorry since I am currently fixing it. I haven't completed the game yet, but I'm quite tempted to remark upon this magnificent game that has granted me the opportunity to rediscover VNs of my own, native language. Whilst I have lived in the Philippines for six years, I have only gained an elementary knowledge of the language. However, I could understand this nicely, but it takes time for me to read, analyze, and piece the messages together. Maybe I'll just have to wait for the day that a translation of this comes (even if it might take rather long). It's a nice game so far, and piqued my interest. I might even learn a thing or two of my hidden native language in the process, while enjoying the artwork and everything else there is to this wonderful experience. Hello! Thanks for your feedback. I am currently working on the English version. I am trying to complete it in this month. I'm doing my best to add a little dictionary for those who might be confused in the terms I used in this game. You see, even my friends, who lived in the Philippines are not good in Tagalog or Filipino so I think I also have to work on that as well. Thanks for adding more Filipino-made VN's to the world, Ren'Py was after all made with us XD. Nice game I love it so much! Salamat sa biyaya mong ito ! Really? i'm excited! after this game i can't wait for your next one ^^. Best wishes!